Long lines. Packed crowds. Thousands of people everywhere!! Yes, these are things that you will find at Knott’s Scary Farm Halloween Haunt if you go during the wrong date and time. The bottom line is that due to the fact that the Haunt is the “most popular” Halloween themed event in the world, crowds pack the place. However, this section of Ultimathaunt.com is here to help you AVOID THE CROWDS and make the most out of your trip to the event! Listed below are tips and helpful hints that should help you in getting the maximum benefit from the money you paid for your ticket. Still haven’t been to the Haunt? Have you been going for years and years? Either way, if you follow the tips below, we feel you should be able to make the most out of your night. The information below was compiled through years of trial and error from fans who have discovered what works and what doesn’t. Even if you only follow one or two of the following tips, we really think you’ll have more fun! We have found that if you follow these tips, YOU’LL BE ABLE TO SEE ALL OF THE MAZES AND MOST OF THE SHOWS IN ONE NIGHT!! (1) AVOID FRIDAY NIGHTS AND ESPECIALLY SATURDAY NIGHTS AT ALL COSTS!! 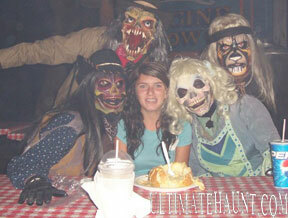 Normally, the Halloween Haunt runs every weekend throughout the month of October (Wednesday – Sunday). The Haunt is VERY packed on each Friday and Saturday in the month of October, so do yourself a favor and try to go on a Wednesday, Thursday or Sunday. With the crowds lighter on Wednesdays, Thursdays and Sundays, you’ll be able to make the most out of your visit by seeing the mazes, shows and even spend some time in the Scare Zones. *If you simply must attend on a Friday or Saturday, we have some tips further down in the page that might help you. * Also, if possible, try and avoid the Sunday before the Columbus Day holiday. Quite often, we have found that the Sunday before the three day weekend draws larger crowds. 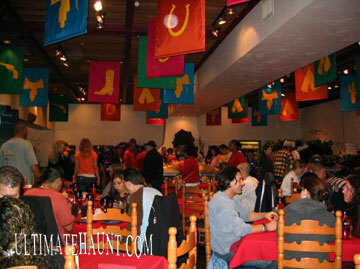 (2) ATTEND THE PRE-SCARE DINNER. 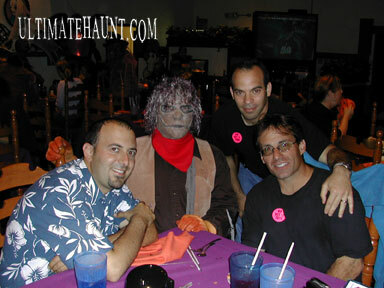 Call (714) 220-5055 to make your Pre-Scare Dinner Reservations! Reservations ONLY. Knott’s Pre-Scare Dinner Special offers Haunt ticket holders a specially themed “boo-ffet” dinner followed by early entry into Haunt a few minutes before it opens to the public. The V.I.P. Dinner (with pre-paid reservations) is $19.99 plus tax and the V.I.P. 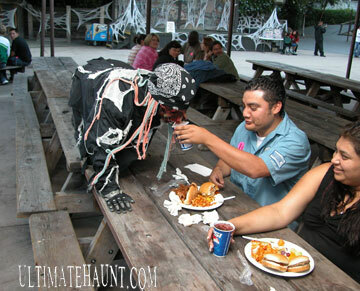 Walk Up dinner is $24.99 plus tax (Does not include gratuity or Haunt event tickets). (3) KNOW WHAT MAZES YOU WANT TO GO ON BEFORE YOU EVEN ENTER THE PARK! 1) The Log Ride FIRST. The reason you want to go on the Log Ride first is because after 8:00pm, the lines for this attraction are usually very long and very slow moving. Too much time could be wasted in the Log Ride line. 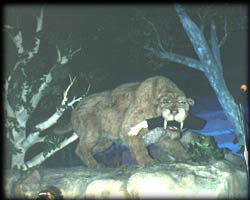 2) The Calico Mine Ride SECOND for the exact same reason that you want to hit the Log Ride early. 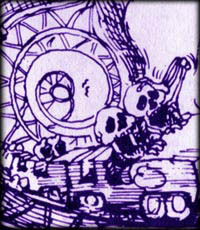 3) After the Mine Ride, head straight to whatever the NEW mazes are for that particular year! Word spreads fast and the lines will start to get packed very quickly. Specifically, if there are any of the mazes based upon “movie” themes (aka “The Grudge, Quarantine, etc. ), hit those VERY early. The reputation alone for the movies will draw a large audience, so it would be a good idea to get that out of the way early on. 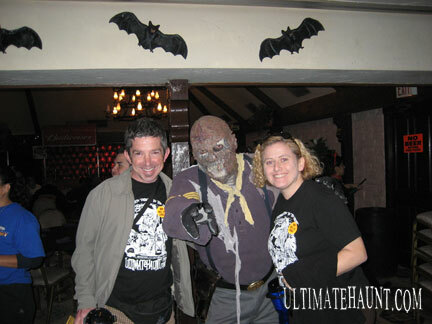 **EXTRA TIP** – Don’t waste your time going on a bunch of Knott’s Berry Farm roller coasters during the Halloween Haunt. You can ride those rides ANY time all year around not to mention at a cheaper price! If you want to go and be scared/entertained and thrilled by all of the fun things that Haunt has to offer, don’t waste your time in roller coaster lines! TO VIEW A PDF VERSION OF THE HAUNT 2009 MAP, CLICK HERE! THE MAP SHOULD REALLY HELP YOU GET A JUMP START ON YOUR VISIT. (4) SEE YOUR FAVORITE STREET MONSTERS EARLY ON IN THE EVENING! Name your poison: Gauntlet Ghouls? Ghost Town Monsters? CarnEvil Creeps? Well, whatever your choice may be, allow us to make this suggestion…If there are any Monsters that you want to seek out, see them early in the evening. These Monsters are not always located in the same spot in their particular Scare Zone. We suggest that you go see your favorite characters sometime prior to 8:00pm. There are A LOT of Monsters out there, so finding your favorite may be VERY difficult, but your best odds are by seeking them out early. **EXTRA TIP** – Want a picture with a Monster? Be sure to ASK before you start clicking a flash in their eyes! Also, be sure to have your camera READY before you ask. These Monsters are not always very patient. As long as you are prepared and pleasant, you’ll get some very memorable shots! Also, we have discovered (the hard way), avoid taking pictures in the fog! (5) HAVE A BACKUP PLAN! What if you get to a maze line and it’s too long for you to want to wait in? No problem! With over a dozen mazes at the Haunt, look at your map and go visit another one of the mazes. Usually, we have found that not all of the mazes are crowded all of the time, so if you look around and visit a couple of the mazes, you’ll find one that has a line worth waiting in. “* VIP Haunt privileges Front of the lines access to select mazes (shows not included)A $50.00 non-refundable deposit will be charged at the time of making a reservation. Full package price will be charged at Hotel check in. No show reservations will be charged full package price. No substitutions to Haunt packages. Package prices are starting at, prices will vary based on the arrival date. A major credit is required when making a reservation. 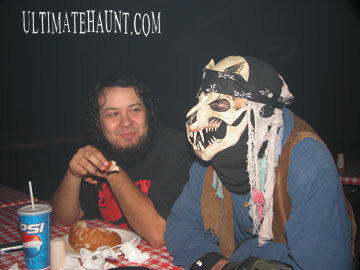 Book on line or call 866-752-2444 to reserve your Haunt Package. These packages are a great option if you’re coming from a far distance to attend the Haunt. Now, if you follow our other tips, you will hopefully not be stuck attending the Haunt on a Friday or Saturday, therefore will not be in need of a “VIP Haunt Privilege” as offered in the Gruesome Package. We recommend going with the other two packages if you’re attending on a slow night. However, if you must attend on a Saturday or Surnday (especially later in the month), going with the Gruesome Package may be one of the only ways to see all of the mazes in one evening! (8) WHO WANTS TO PAY FULL PRICE FOR A HAUNT TICKET? NOBODY! That’s right! 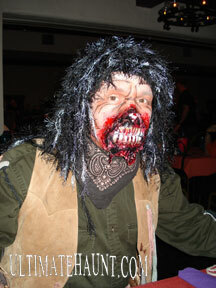 There is a very cool way to avoid paying FULL PRICE for your Haunt 2009 ticket! If you have a Burger King in your neighborhood, discount coupons are available. The prices vary from day to day of the event and are well worth the trip to Burger King to grab a discount! Most importantly – HAVE A FRIGHTFULLY FANTASTIC TIME! !